A visit with Richard Spelker. I've always had an interest in mysterious books. 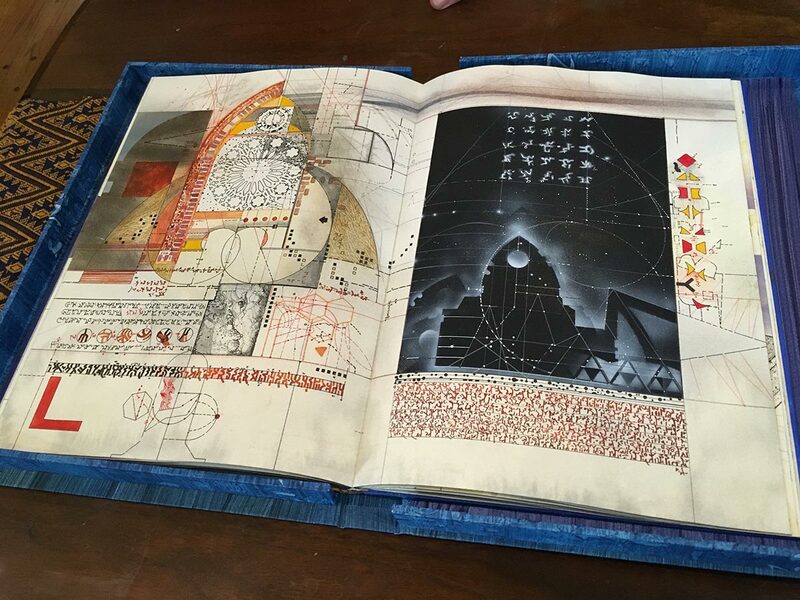 One of my great artist heroes is a book artist. When one of his compadres moved near me, the thoughts started falling into place rapidly. I'm going to make a book of my print originals. 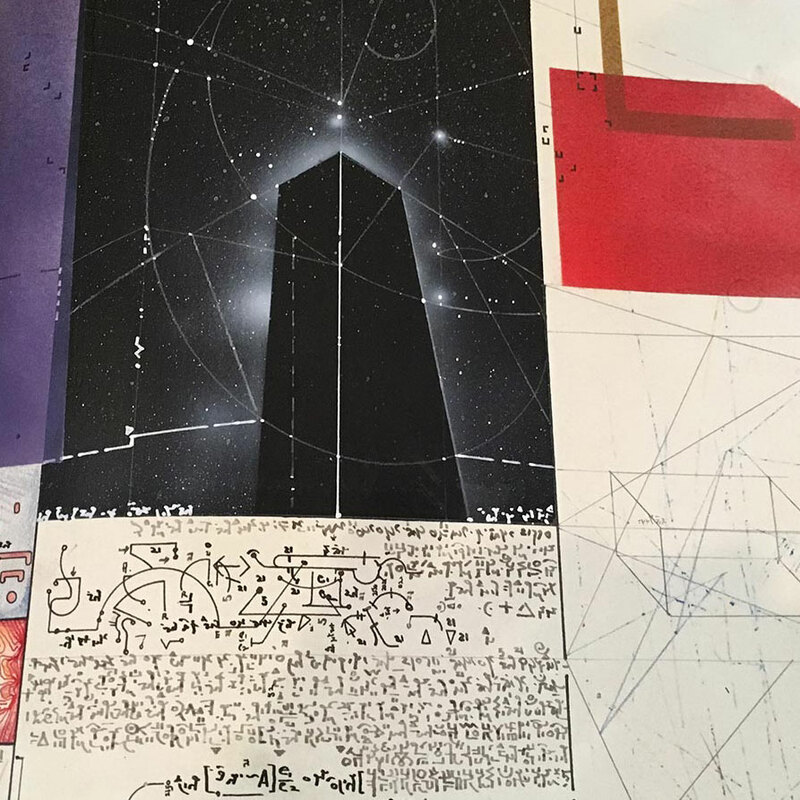 By some synchronicity or psychic signal, he invited me out to see his collection and studio. 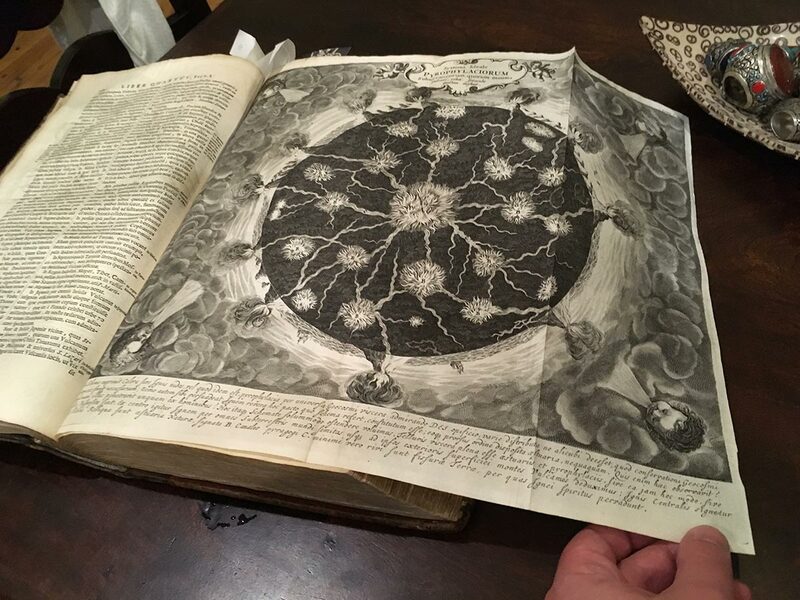 Richard is artist, alchemist-chemist, archivist-collector, book maker, historian and world traveler. With a range of interests from psychedelia, early science and the occult, there is never a dull moment in conversation with him. I wasn't in the door more than 30 seconds when I was ushered over to a table holding 3 Timothy Ely handmade books. I can't describe my awe in being able to handle the real thing. 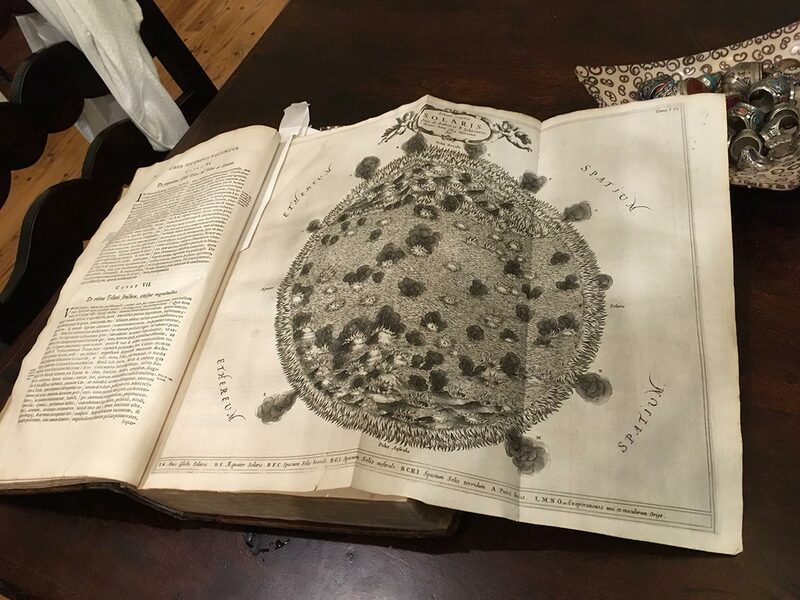 Here's some shots of Richard and his super rare 18th and 19th century books. I was knocked out! 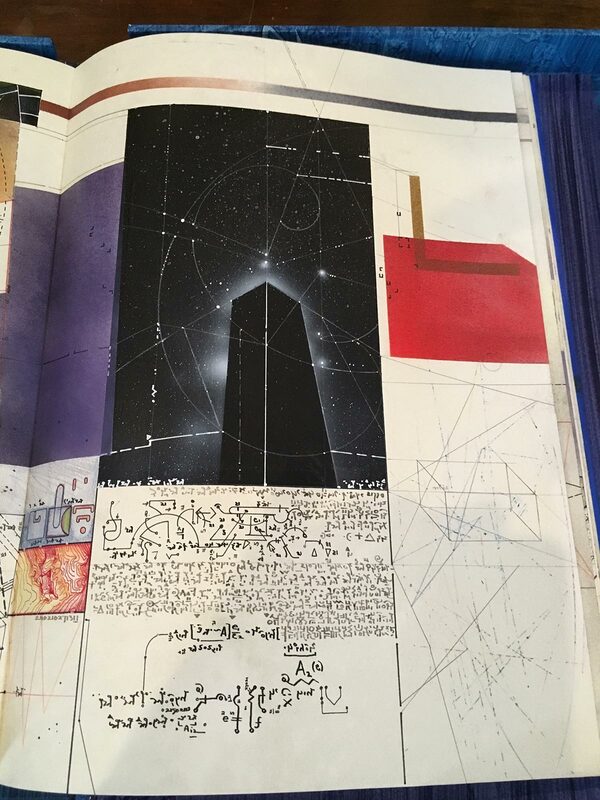 One of Richard's expertise lies in his interest in inks and the old formulas used to make them. 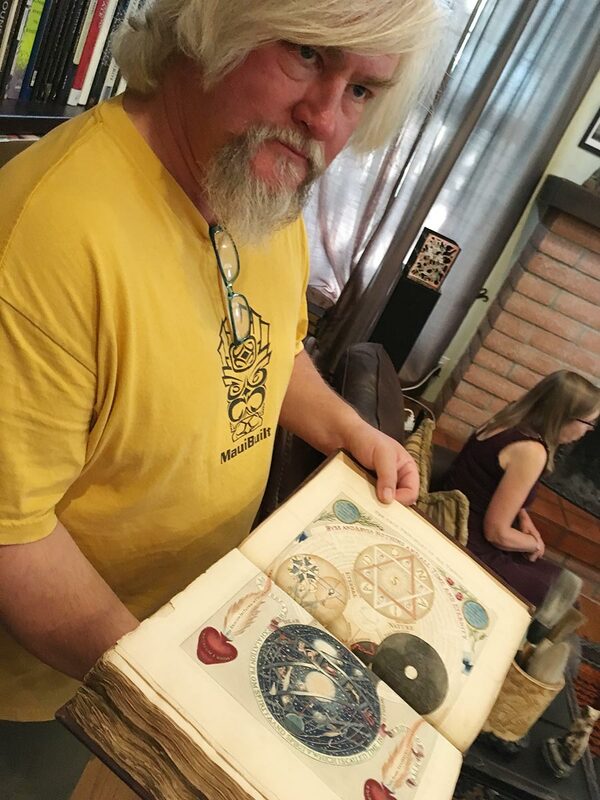 Teaching and consulting on the subject to amateurs and museum book conservators alike, he's collected more than a thousand recipes for making ink. Some pigments are derived from plants and animals. 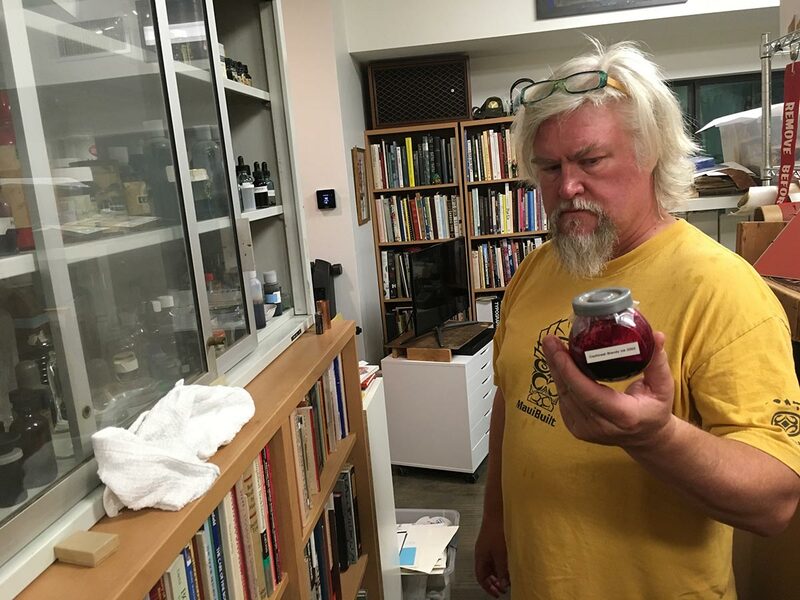 Below, Richard holds a bottle of red ink made of cochineal beetles from South America in his laboratory / print shop / artist studio.